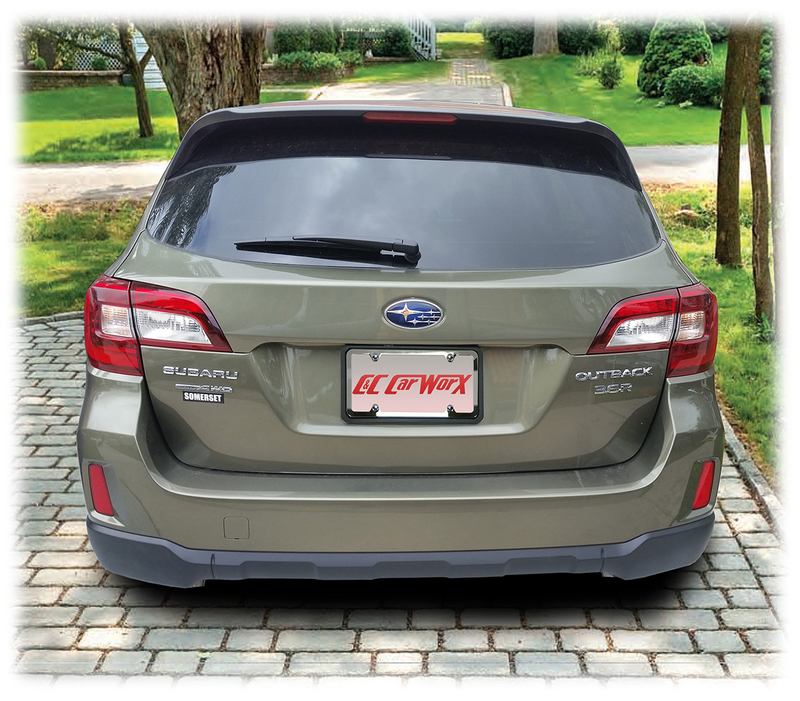 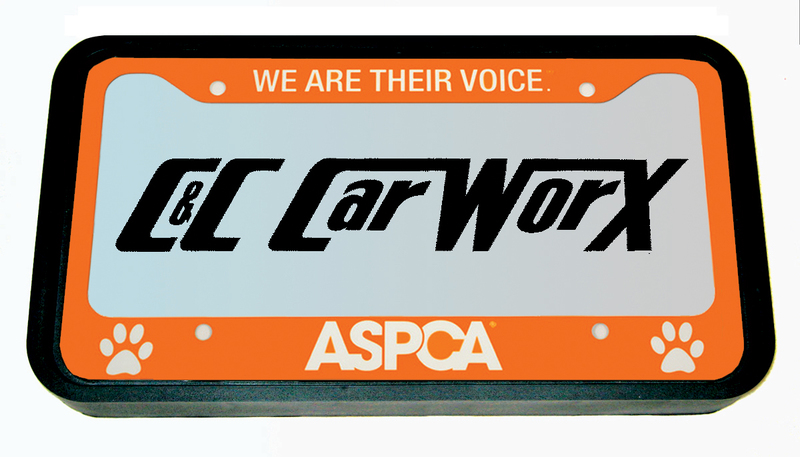 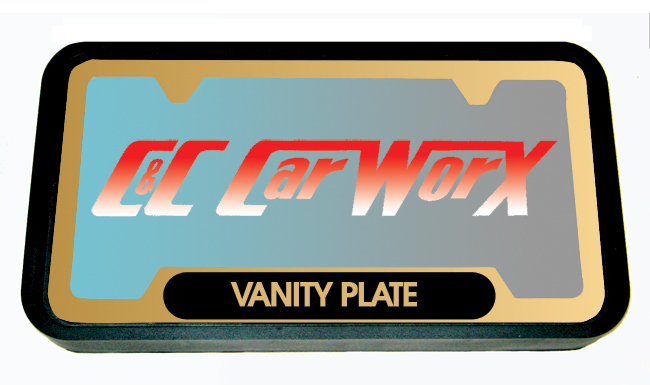 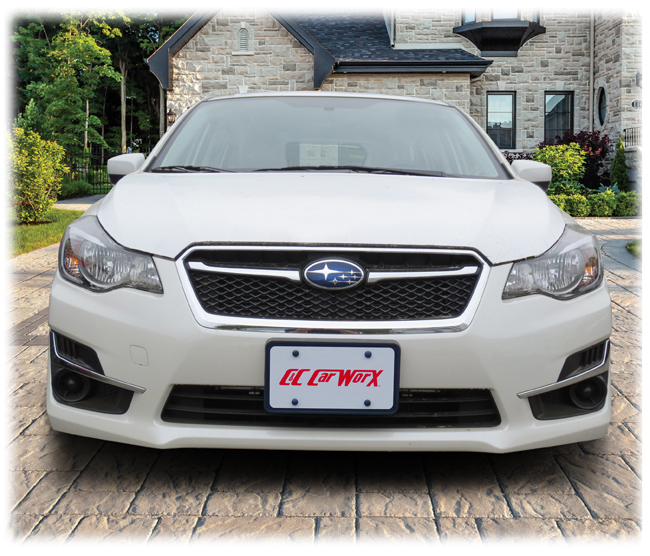 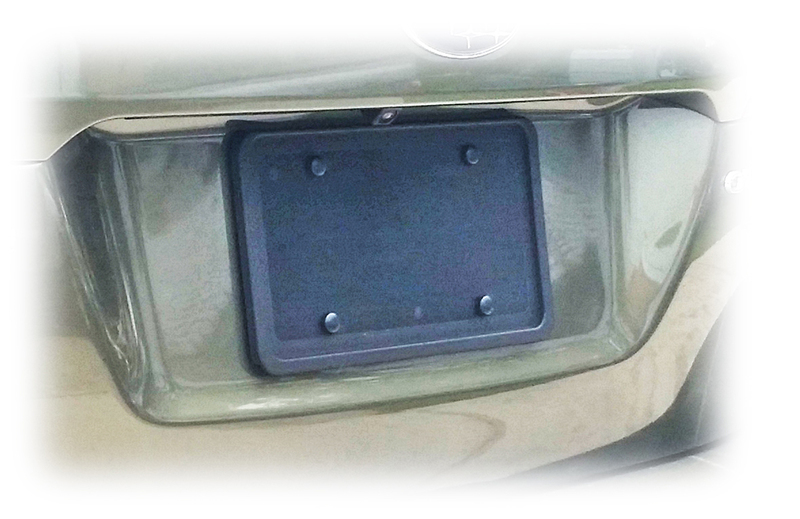 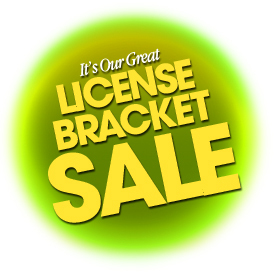 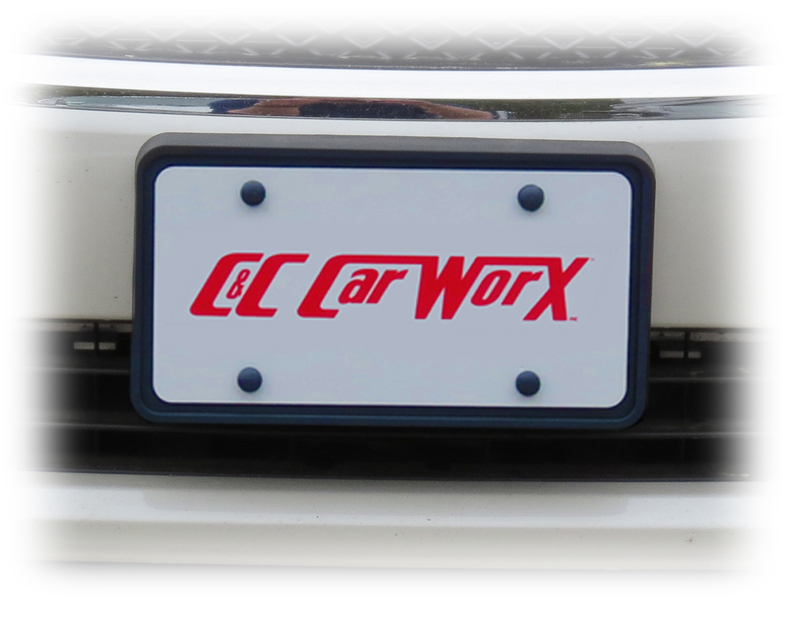 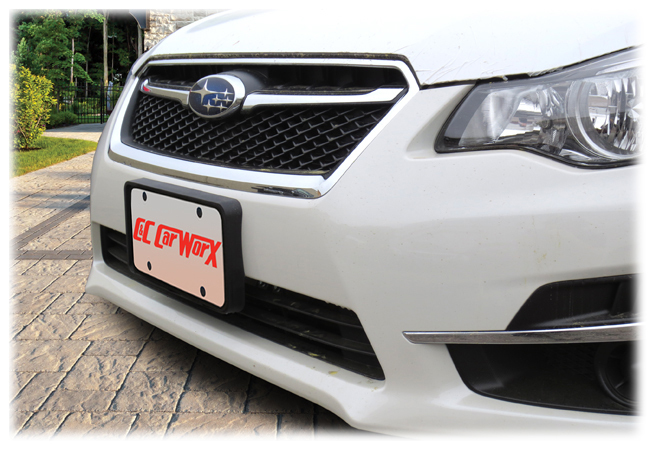 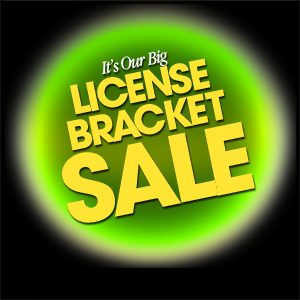 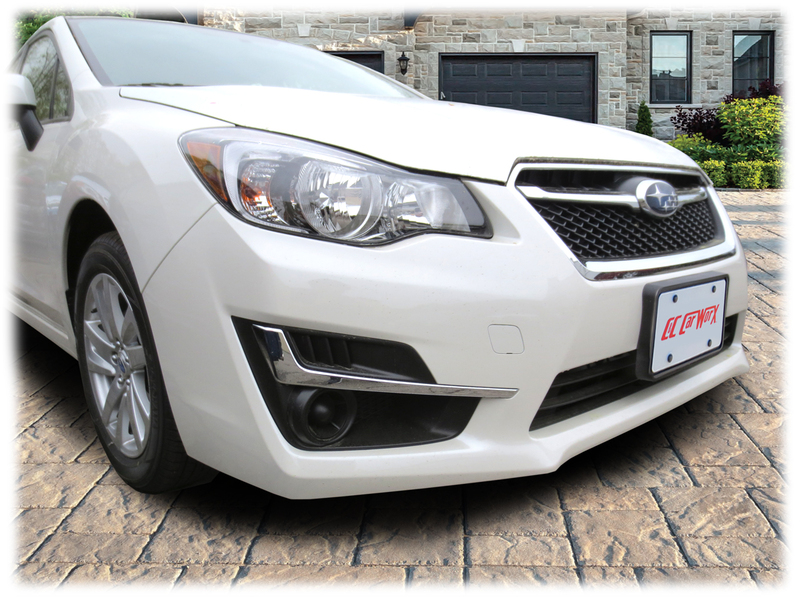 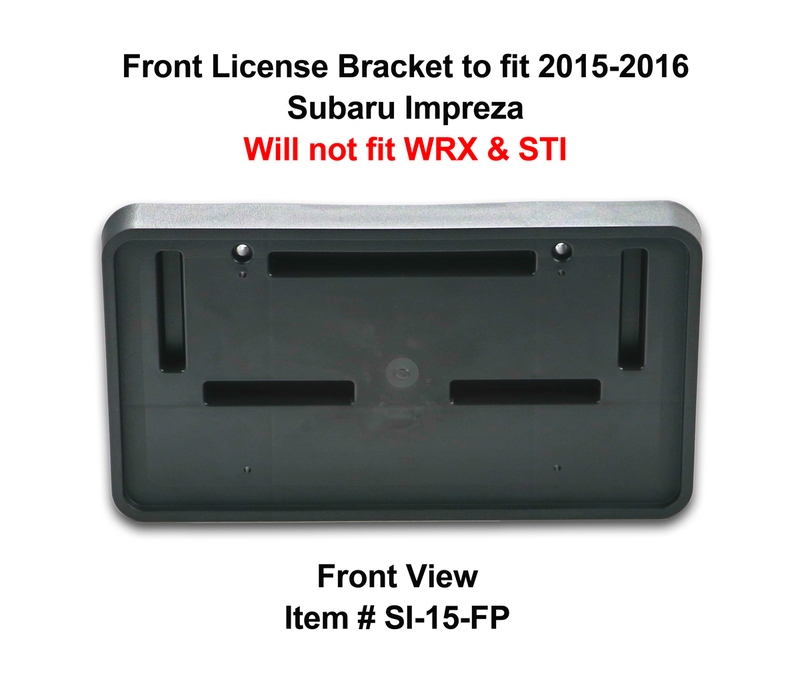 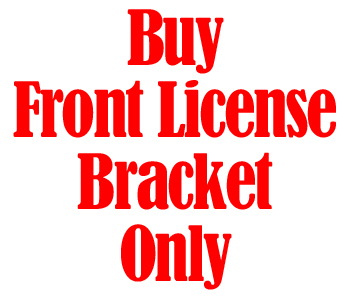 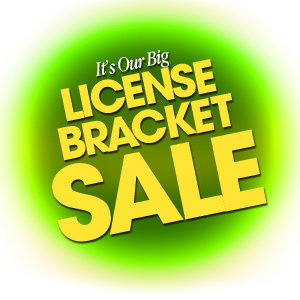 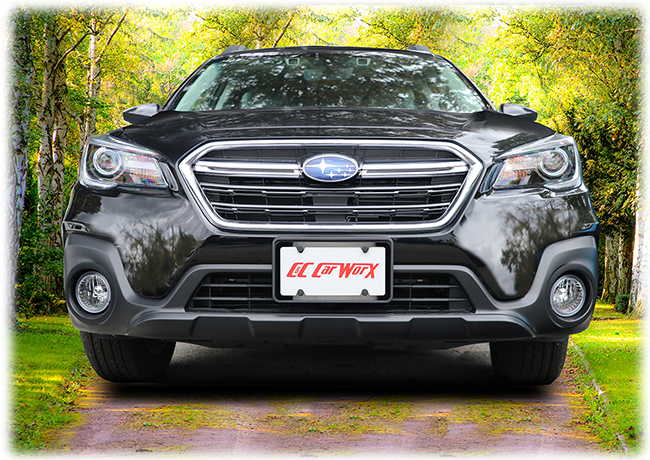 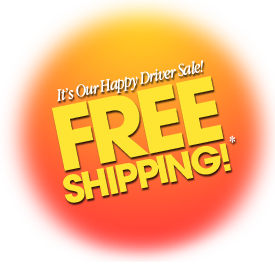 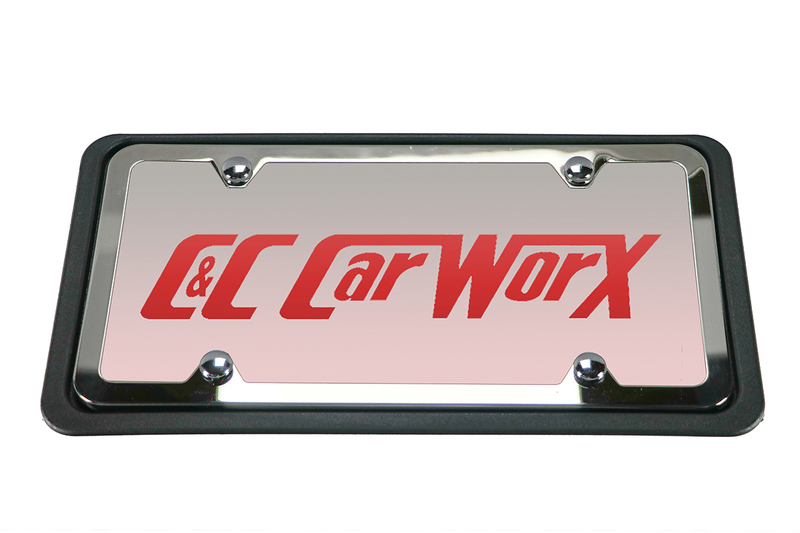 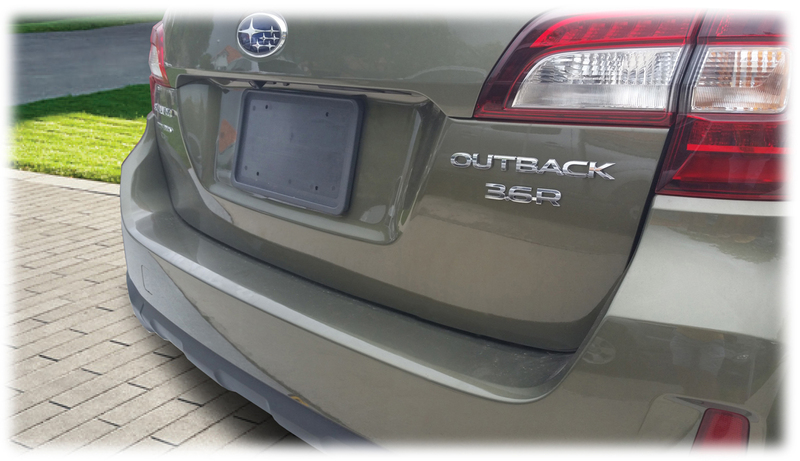 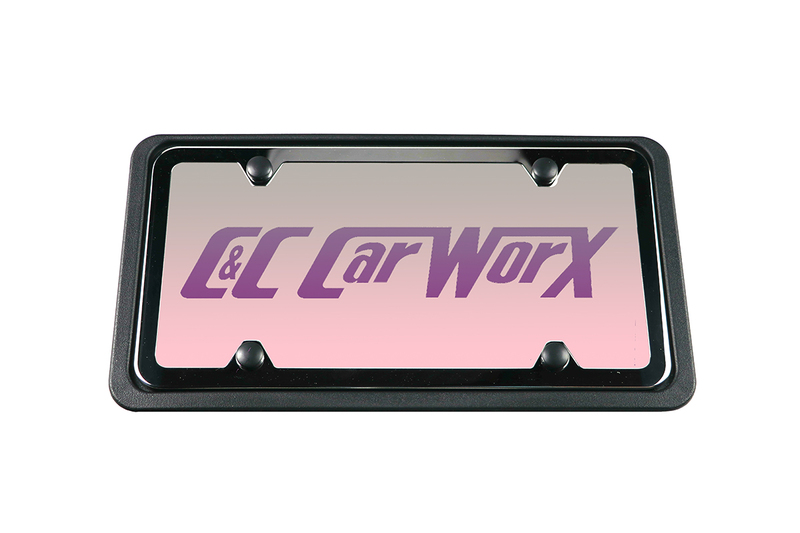 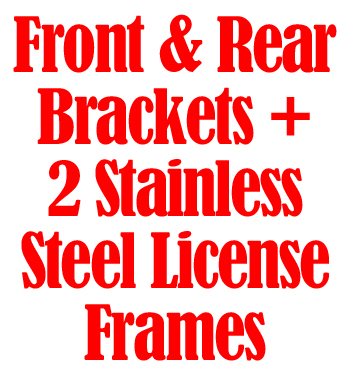 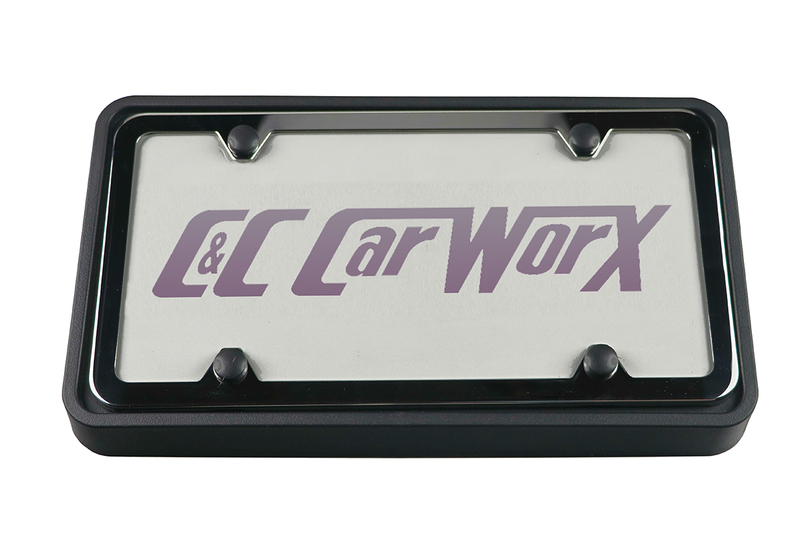 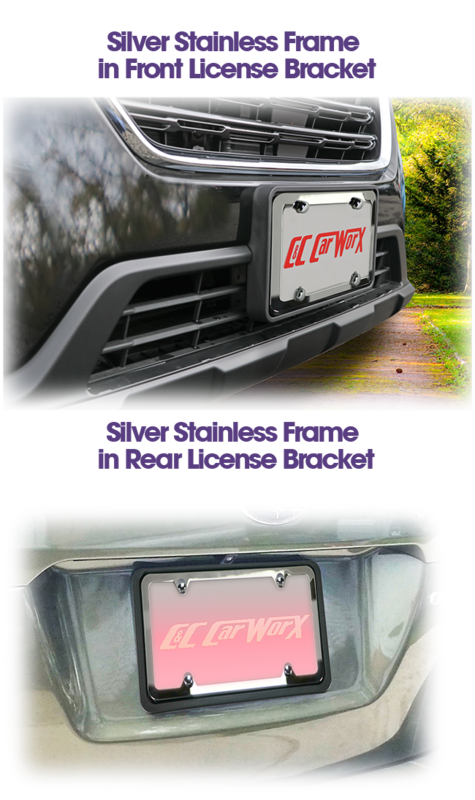 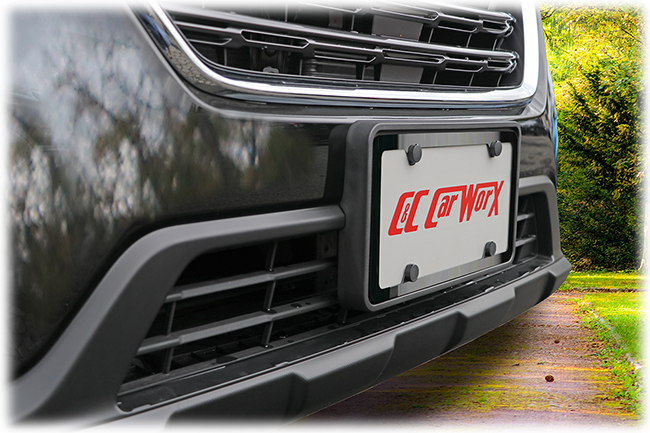 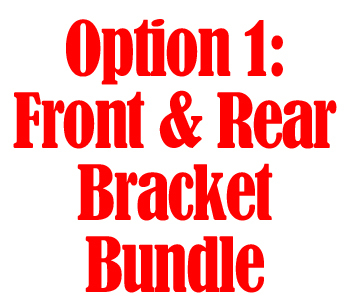 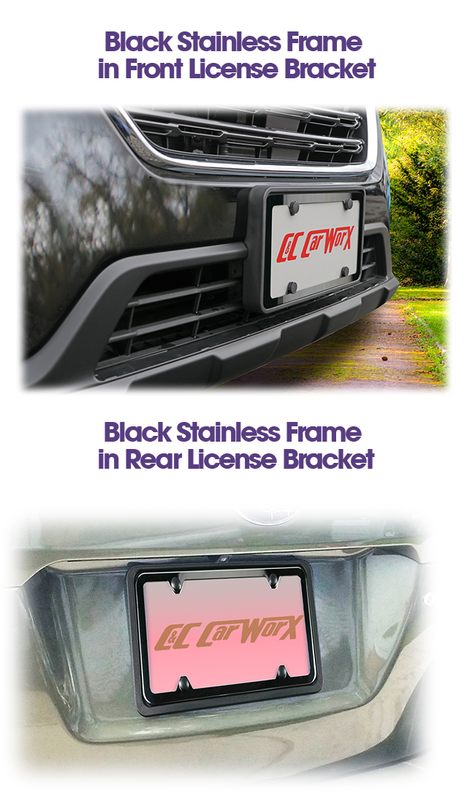 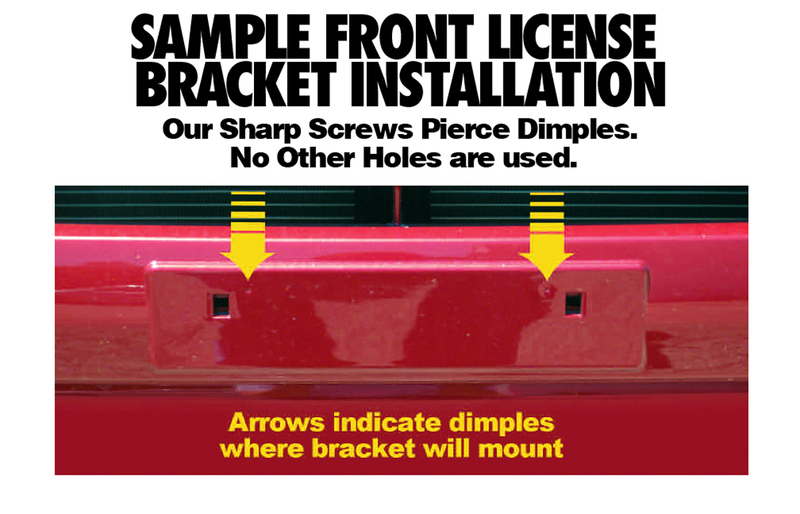 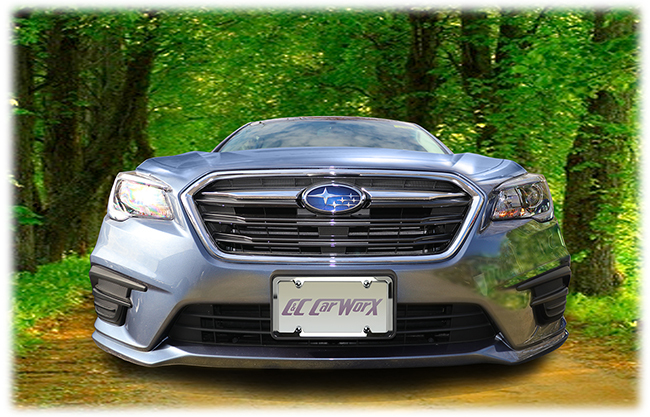 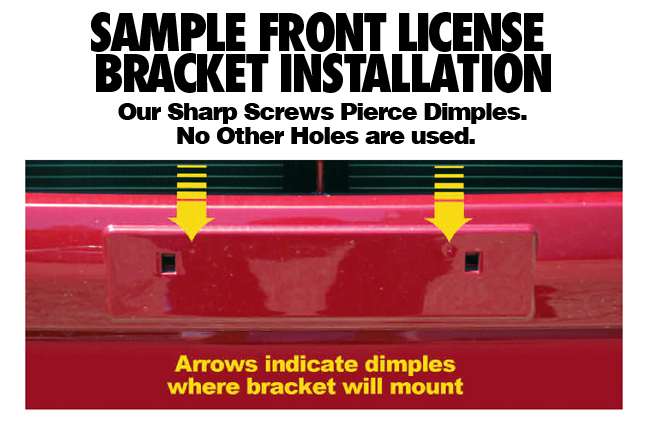 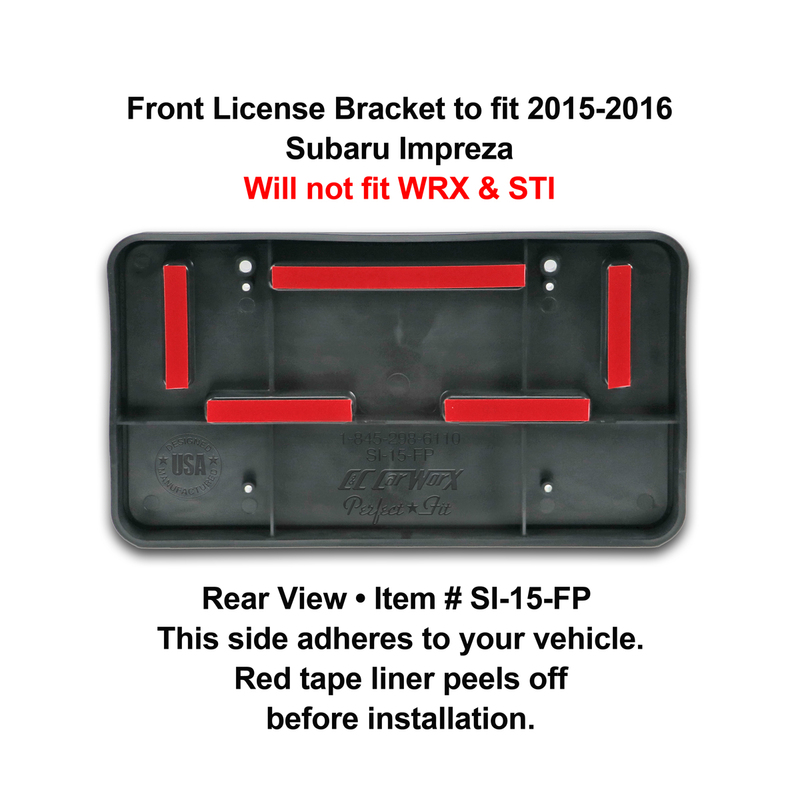 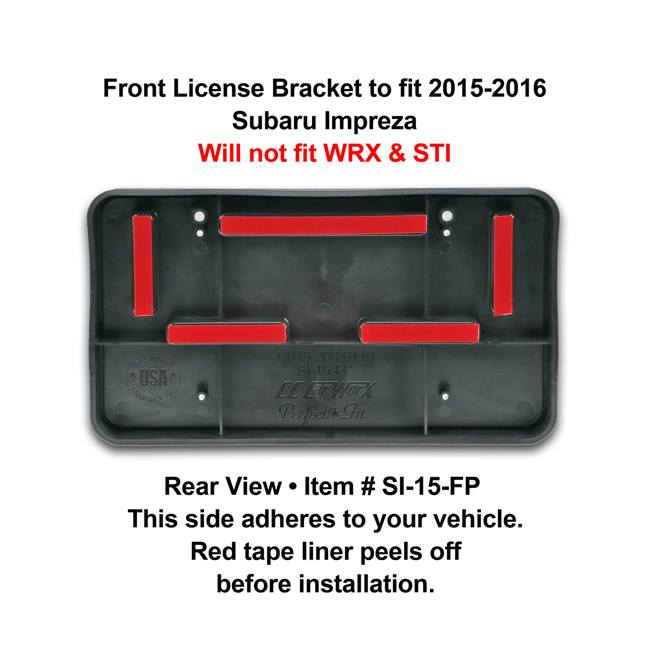 Front and Rear License Plate Frame/Bracket Assembly to fit 2015-2016 Subaru Impreza ON SALE! 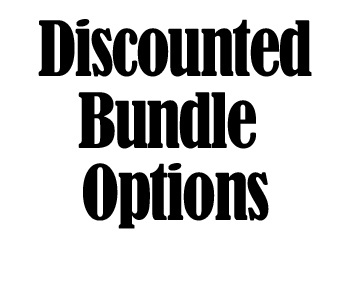 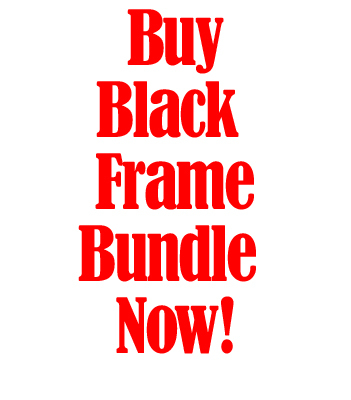 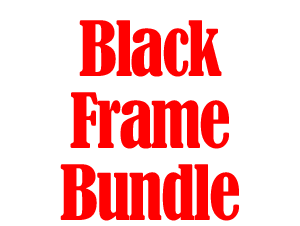 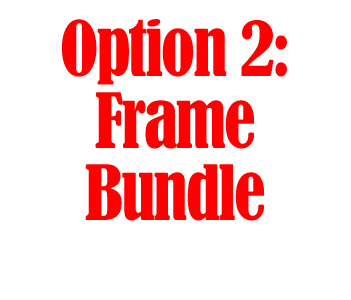 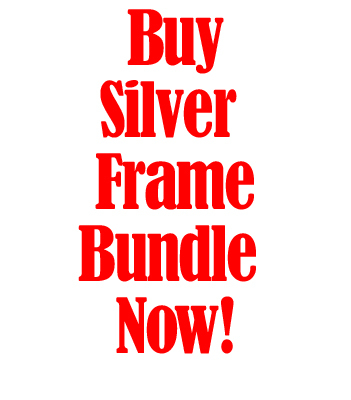 plus also available Bundled with Rear Bracket at a Better SALE PRICE or a Frame Bundle at a 27% discount!! 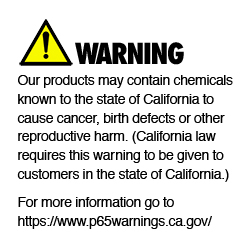 ﻿﻿Very well made product. 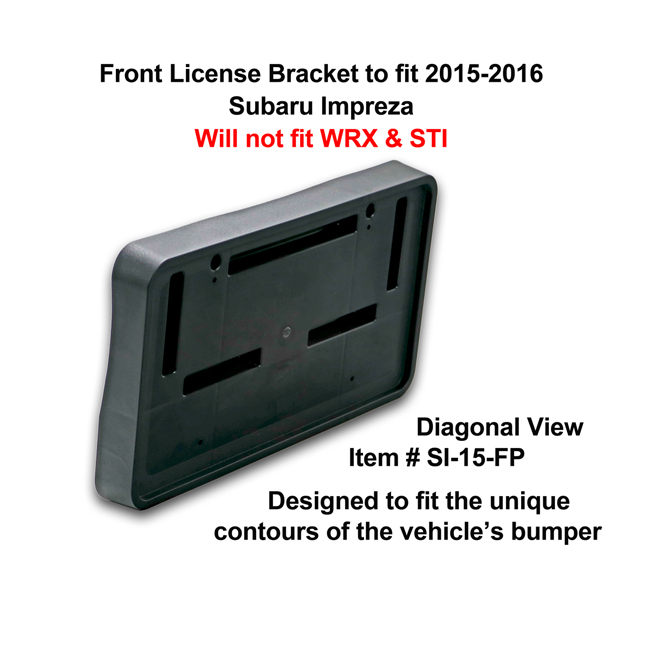 It fit my front bumper perfectly. 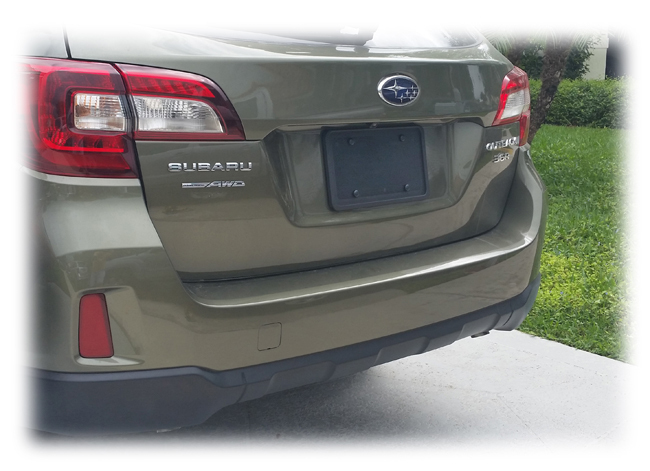 I was skeptical of using the double sided tape, but I followed the directions and it seems very well attached. 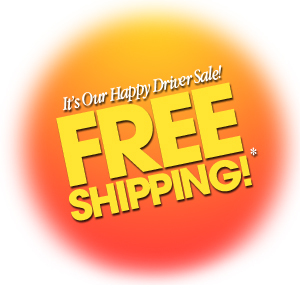 I would recommend this product to friends.